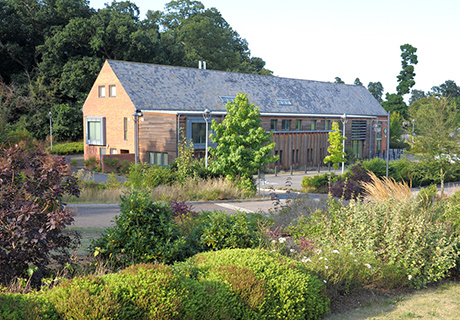 The creation of this modern medical centre just outside Woodbridge town centre was made possible by the redevelopment of part of Notcutts nursery, a most attractive and sensitive site. Facilities comprise an 8-GP surgery, pharmacy and associated medical facilities including a dentist’s surgery and minor procedures unit, in total around 1600 m2. The floor area is relatively large for the site, and we needed to be careful that the building did not intrude upon views to the town centre across the site or appear overly large. 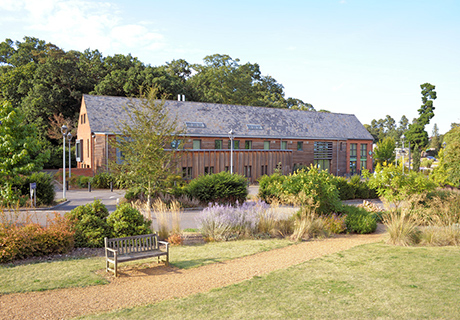 Massing of the building into a central two-storey structure and projecting extensions reduces the apparent scale, provides the necessary depth of plan and allows natural light to all areas. With such a restricted site we have had to be rigorous in our segregation of public and private areas around the building in order to protect patient confidentiality and maintain privacy. 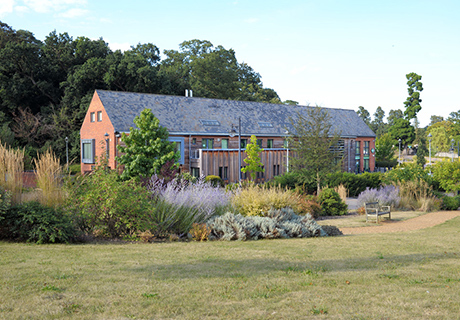 Not surprisingly landscape is a very important feature of the site and we have worked closely with consultants David Brown Landscape Design and Suffolk Coastal District Council to provide a design which is appropriate for its setting within the mature planting of a garden centre.